There are so many fabulous pairs in the world (Moules+Frites, Movies+Popcorn, Thanksgiving+Turkey, Bananas+Peanut Butter, Bacon+Well just about anything..., Chocolate+Valentine's Day, Michael Symon+Pork, New Orleans+Jazz, Ben Affleck+Matt Damon etc...). 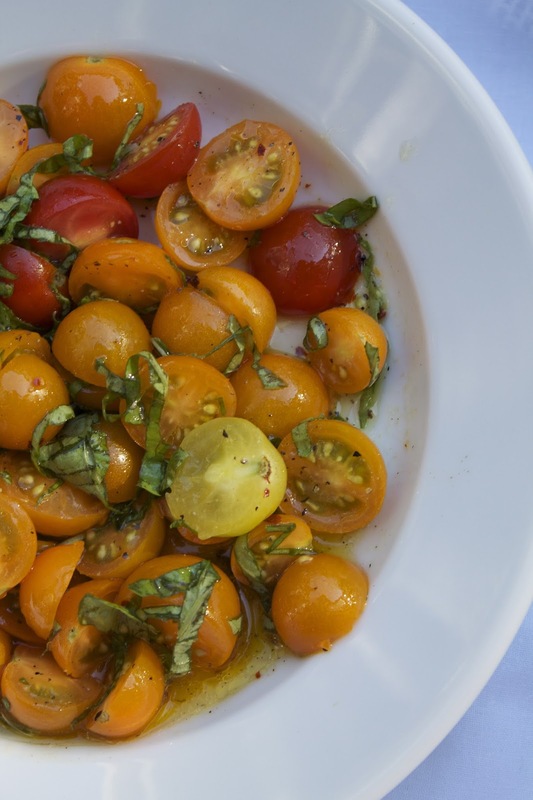 Basil and tomatoes are on of those inseparable combos. 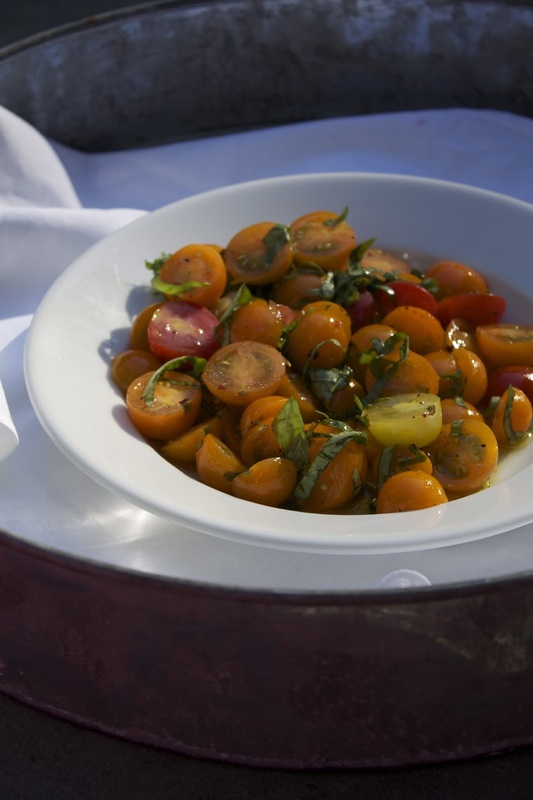 Tomatoes are great with most herbs, but they truly sing when they are with basil. This side dish is perfect to throw together on a busy summer night. 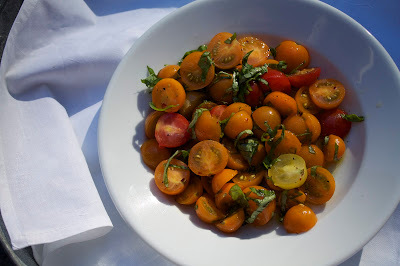 Cut the cherry tomatoes in half (if you want to catch all of the tomato's juices that extrude when you cut them, then cut the tomatoes in the bowl/dish that you are serving them in). Season the tomatoes generously with salt. Let the tomatoes sit with the salt for about 2-5 minutes or until some of the tomato's juices have released. Add the olive oil and basil to the tomatoes. Season with red pepper flakes, black pepper and salt to taste. Enjoy!